DANDRO, Douglas F., age 78, of Helena, passed away Thursday, January 24, 2019. No services are planned at this time. Please visit below to offer the family a condolence or share a memory of Douglas. Please visit the floral shop page for assistance in choosing a local florist. No photos have been submitted yet. Click here to share yours. Read the thoughts and memories, then feel free to add your own. The Lord must have needed a good wrangler, story teller and all around great person. You will be missed my friend. Hugs to Andy, Dougy and family. So sorry to hear of Doug’s passing. We have very fond memories of boys baseball games, visits at the Fair and as neighbors in Clancy. 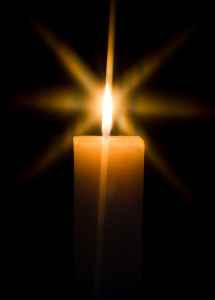 Sending prayers to you during this difficult time …. We are so sorry to hear about Doug’s passing. Our thoughts are with you. We remember the last time we saw you both at the Cancer Treatment Center. We’ll keep you both in our prayers. The world lost a good man. Your are in our thoughts and prayers. So very very sorry to hear of Doug’s passing. He was such a special man. Heaven gained one of the best! My heart goes out to you Andee and his family. Sending prayers, love and hugs. Doug’s cowboy hat. It was just a part of him that I will always remember and will always have a special place in my heart. His sparkling eyes, constant smile and easy ways will be missed by friends and family. WILL MISS DOUG A LOT. HE WAS AN IMPORTANT PART OF OUR BUSINESS FOR MANY YEARS. A VERY HARD WORKER AND ALWAYS WITH HIS QUICK WIT COULD MAKE YOU LAUGH. So sorry to hear of Doug’s passing. Andie, we are thinking of you … please accept our condolences. Andee, I was very sorry to read in the IR that Doug passed away. He was a special guy and know he will be missed greatly. Our thoughts and prayers are with you all. So sorry to hear of Doug’s passing. He was a very nice person and will be missed by all who knew him.